Here’s Your First Look At Vin Diesel In BLOODSHOT | Birth.Movies.Death. Written by Arrival's Eric Heisserer and directed by Dave Wilson, Bloodshot tells the story of - whoa, wait, what the hell? 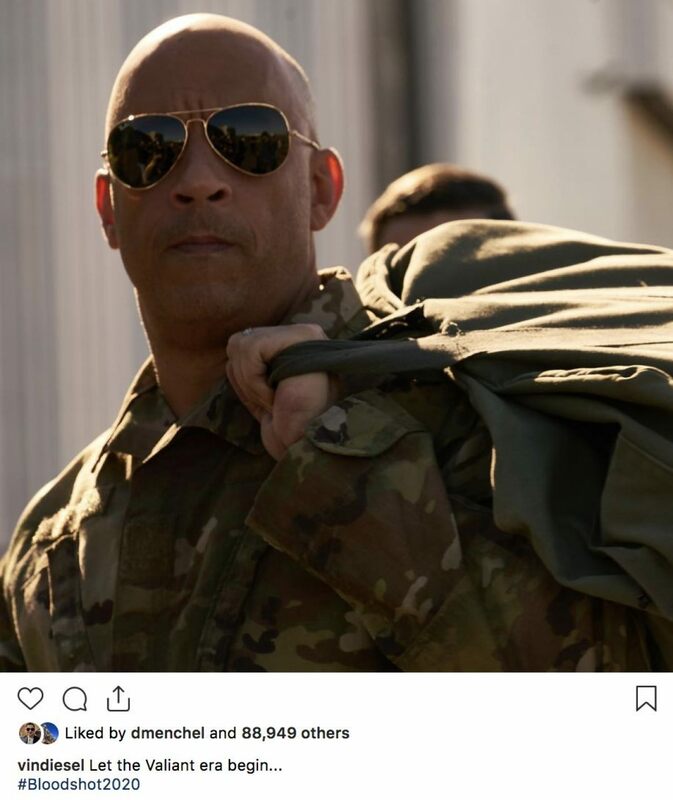 That's literally just a photo of Vin Diesel in army fatigues! That pic could've been taken on virtually any set Vin Diesel's been on in the past, what, decade? This is, yes, technically our first look at Vin Diesel in the movie Bloodshot, but where's the white skin? Where's the black crew cut? 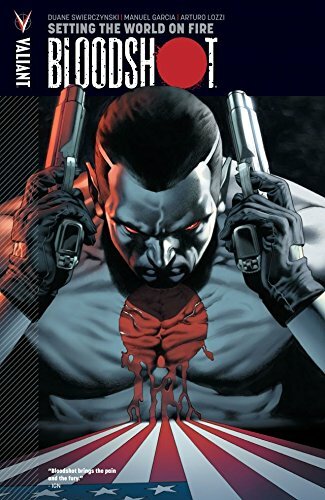 Where, I ask you, is the giant red circle in the middle of Bloodshot's bare chest? We have no answers, but we're guessing a photo of Diesel in full Bloodshot regalia is forthcoming. This one's probably just a shot of Ray Garrison from before countless nano-bots get injected into his bloodstream, giving him the powers of regeneration and (glances at Wikipedia) "meta-morphing". Surely you wouldn't have a Bloodshot movie where Vin Diesel solely appears as Vin Diesel, right? Nothing further to report at this time, but stay tuned for further Bloodshot updates as they become available. While we're waiting on those to arrive: what do you think of the pic? Is it even possible to have thoughts on this pic beyond "That is a photo of Vin Diesel wearing camoflauge"? Let me know in the comments below.